Notice how nicely the gum tissue healed around the dental implant site. 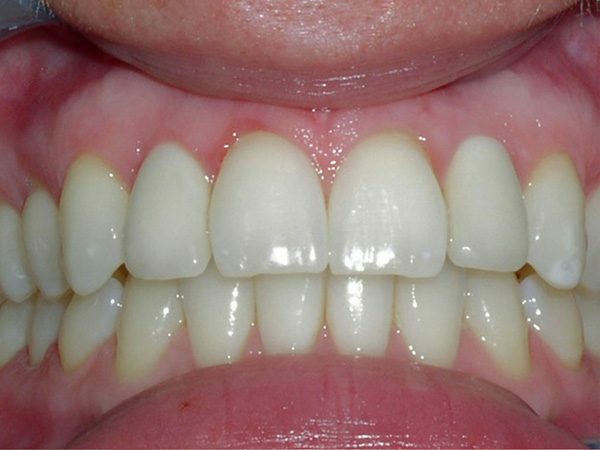 Our Patient M. H. came to us with a partial denture – called a flipper because of its flipping movement – that she had worn for most of her adult life. 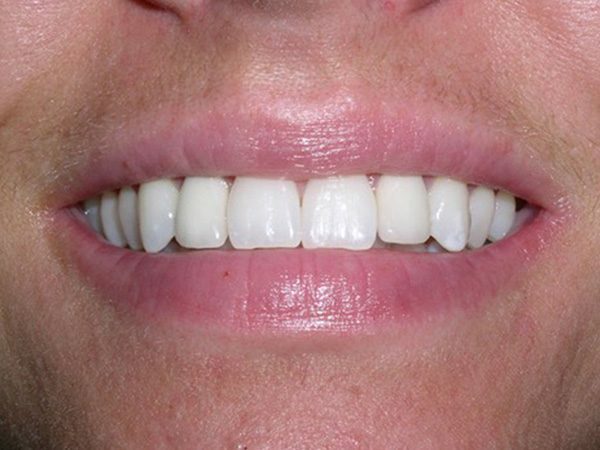 She had worn this denture because of congenitally missing teeth – central and lateral incisor – the left side and front of her smile. Her teeth were moved with orthodontics to make room for Dr. Klym to place dental implants. 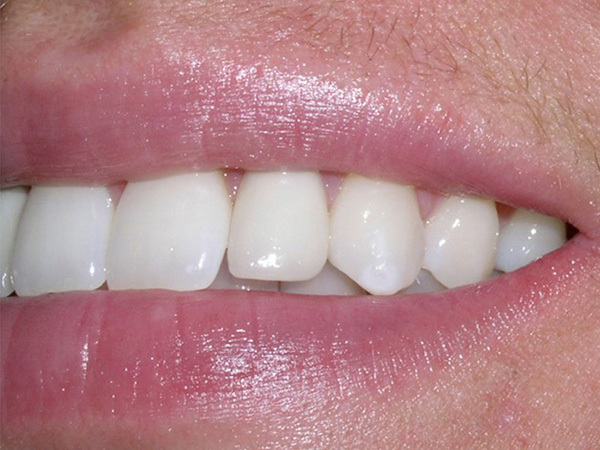 To complete the restoration of her teeth, he placed 360° porcelain veneers over the implants. 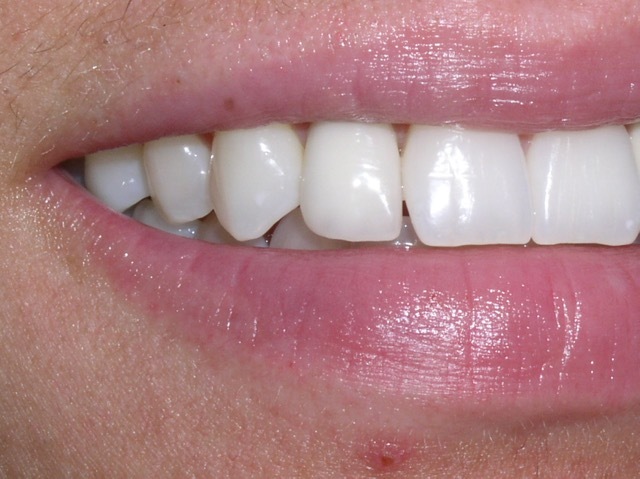 Notice how nicely the gum tissue healed around the dental implant site.